Honest Jon’s Alan Scholefield talks to Sophie Harris through some of the iconic London record label’s key releases. It is a London story like no other: In the 40-odd years since opening its doors as a record shop in Ladbroke Grove, Honest Jon’s has been, variously, a pillar of the local community, the hippest joint in town, at risk of closing down, and so popular that punters couldn’t physically cram into the shop. Now, in 2018, Honest Jon’s is in rude health, operating as both a store and a record label. “The way we flourish is by taking risks and getting involved with weird things,” says co-owner Alan Scholefield. Sitting in the basement of Honest Jon’s’ Portobello Road HQ, Scholefield is surrounded by neatly stacked cardboard boxes, while diligent employees are packing up records to be mailed all over the world. Honest Jon’s is, in its understated way, hugely successful and undentably cool. The shop buzzed into life in 1974, and soon started attracting such luminaries as Clash hero Joe Strummer, dub icon Augustus Pablo and jazz maverick-in-the-making, Courtney Pine (he was nine-years old when he first came in). Its employees have included Mo Wax founder James Lavelle, and the Honest Jon’s record label was founded in 2002 on the suggestion of long-time customer Damon Albarn. It has since become a go-to for soul fans, reggae lovers, techno heads, Africa afficionados, free-jazz twitchers and beyond. Now, Honest Jon’s is coming to Kings Cross, to join the proudly independent, esoteric stores on Lower Stable Street. Scholefield is excited about the possibilities of the massive new development, specifically its “weird little nooks and crannies”, and the mix of people moving through the area – from St Martin’s art students to British Library visitors to international travelers stopping off at the station – “It’s quite a fertile cross-current,” he says. In this way, it’s as perfect a geographic representation of Honest Jon’s diverse customer base as you could hope to find. In celebration of the new store, Scholefield has picked six unmissable records from the Honest Jon’s label; so, no need to feel daunted about what to ask for at the counter. Part of Albarn’s vision was to put on a live event, to bring the story and the label to life, and so the Honest Jon’s team headed to Bamako. It was a visceral experience, and Scholefield recalls the smell of wood smoke and incense in the night’s heat, animals wandering about, and the tinkling sound of the kora in the streets. The feel of the city saturates Mali Music, via such musical masters as Afel Bocoum and Toumani Diabaté, along with wildly groovy sounds inspired by local club The Djembe; “After a few hours there, it was like lift-off took place,” says Scholefield, still awed. 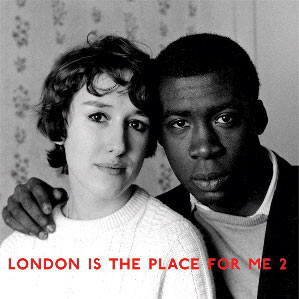 “It’s such a lovely, touching image,” says Scholefield, of the record’s sleeve, which depicts a mixed race couple during the 70s, taken by brilliant Jamaican-born photographer Charlie Philips. A large poster of the record’s artwork hung in the window of Honest Jon’s when the album was released; Scholefield recalls one miserable, wet Thursday when the store had been empty for hours, and a customer finally came in, holding the sleeve next to his face and looking deadly serious. “It was him!” says Scholefield, “and he broke into a huge grin.” He loved the picture, and lived up the road from Honest Jon’s; turns out the couple had married, and though they eventually parted ways, he gazed at the photograph fondly, saying, “Such a lovely little face”. Japanese blues and jazz singer Asakawa was well known and loved in her home country, and one can well imagine jazz-head author Haruki Murakami swooning to the sound of the singer’s discs back when he was a record store clerk. A countercultural icon and a bohemian, the late Asakawa appeared on Honest Jon’s’ radar thanks to a beloved, long-term employee whose wife is Japanese. Ainley and Scholefield were blown away by her exquisite, slow phrasing, and a combination of strength and vulnerability that recalls Billie Holiday and Nina Simone. Unsurprisingly, this record is one of Honest Jon’s’ most popular compilations. This entry was posted in Features and tagged Honest Jons, Kiosk, Records. Bookmark the permalink.